We know you’ve heard it before - everyone claims to offer a simple,low maintenance system. But at BFK, we deliver. 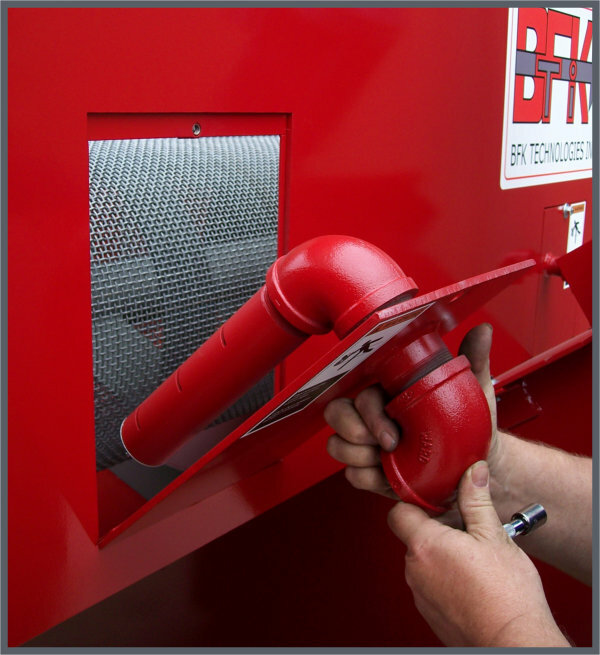 How about these features: • No need to own a grease gun to maintain your BFK - nothing to grease! • No need to constantly tighten and adjust shaft seals on a BFK - they don’t exist! 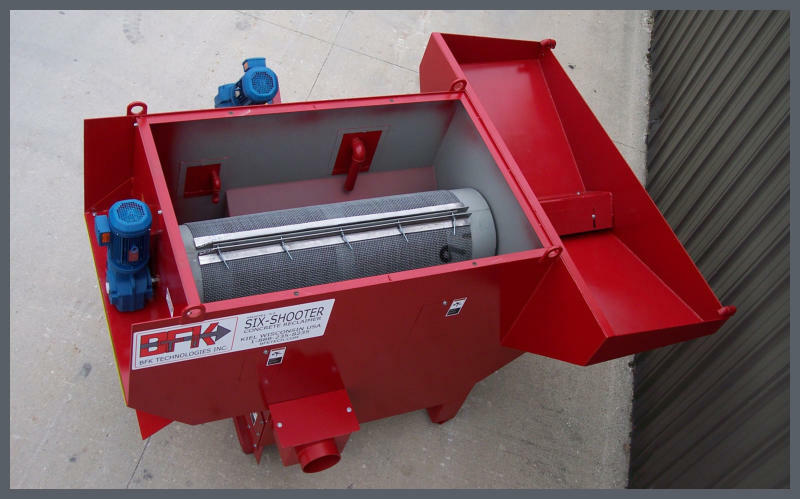 • No need for a shaker screen - BFK Reclaimers separate coarse rock and fine sand IN THE RECLAIMER * ! *Model R2 does not separate coarse and fine for operational reasons. Other reclaimers use screws, paddle wheels or slotted buckets to lift and drag wet concrete uphill through a bath of water. That is a High Wear design, which is both slow and inefficient, requiring more horsepower, and leading to increased operational and maintenance costs, and more frequent and expensive repairs. 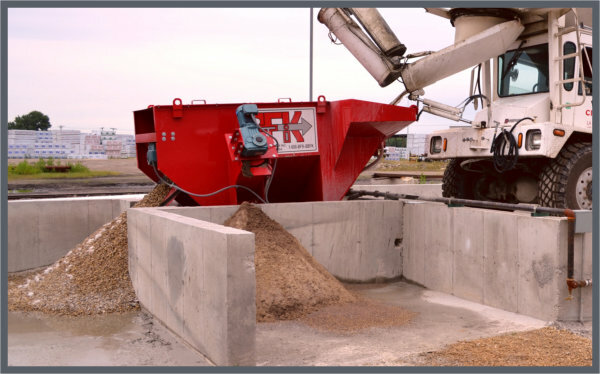 BFK harnesses the Power of Gravity to tumble the rock downhill out of the mix, before the sand is rinsed and dewatered. Less wear and tear and lower horsepower means more up-time!  Only (2) rotating assemblies [screen and sand auger].  Auger flighting made of AR Steel on most designs.  Screen is replaceable with 7 bolts or less. Hey, it’s concrete. Eventually, cement build-up or fiber gets in places you don’t want it to. We make it easy to clean - ideas such as tip-out panels that hold the internal spray bars, and access panels in all the right spots. 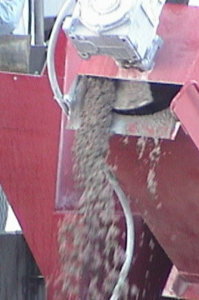  Concrete Mix flows downhill into the rotary screen, washing the heavy, coarse aggregate (rock), and removing it from the waste stream first. 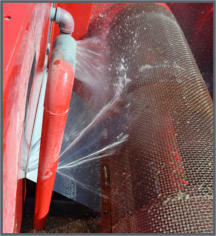  Infeed auger flighting acts as a brake, not a conveyor, to ensure proper feed rate into the reclaimer. Only lighter, fine aggregates (sand) are conveyed uphill.  Our largest reclaimer, the Model B Snubnose, only uses 15HP total, including the supplied pump. Our smallest, the M6, uses less than 3! Most other reclaimers use 30 or more! Replaceable UHMW Bushings support the non-drive end of each rotating assembly, and are field replaceable from outside the machine. Access panels that aid in cleaning and maintenance. No specialty tools required for access, repairs or maintenance! Unlike many other systems, where over-engineered, complex sub- assemblies are the norm, BFK reclaimers are simple. And parts are stocked in the USA! "The machine performs exactly as represented, we love it".